How to earn money from my blog? How to make money online through blog or website? Everyone has a great desire to make money online. But probably it is not that much easy to say that we can be rich overnight. For making money online we need a lot of patience and a correct strategy and most important a plan. There are probably 80% of Bloggers who simply blog without any plan. But in order to get succeed in this massive crowd of bloggers we need a lot of hard work. This article is all about making money online as a part of your blogging revenue mix. If you want to make your living as a blogger then it’s really necessary to know that how you can do it. There are probably many other websites, blog, forums where you can get your target. But you need a specific advice to meet your professional goal. There are many ways to make money online. Just like Advertising, Writing, Affiliates. If you just want to write for your friends, readers then you might forget that there are more ten or hundreds of people writing about the same thing. 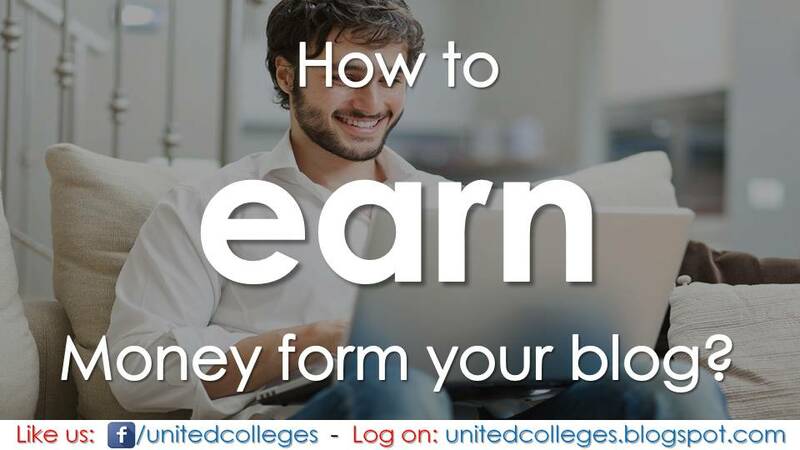 But if you are willing to create a Professional Blog which generates revenue from it then you need more than a few loyal readers that attract advertisers to come to your blog. To get and keep all your regular readers to come in your blog you need creative ideas. You need to tell them that why they should only prefer your blog to read about the niche you are providing to them and why they should visit you regularly. Yet this much lectures I only mean that you don’t need to have a plan of 70 pages with charts, graphs etc. Just an idea that how you can perform that task you need to have. The question rises here. There are probably more than hundreds of ways to earn. Whether you say, Affiliates, Paid Posts, Advertising. But the most important thing which you need to know is that. A monetization plan which suits your site, your skills and your audience is necessary. In this article, I would give you a brief overview of the strategies that I use personally to make money online. Freelancing being my primary source of income gave me the opportunity to earn right from my home. Freelancing is all about serving clients upon which we have our passion and skills. Suppose you are good in (let’s take Blogging as an example), Then you can Open Up A Blog Consultancy right from your blog. Or just by registering in any good Blogging Niche/Webmasters Site and Serve various things. I would prefer you SEOClerks or Fiverr if you want to Buy or Sell anything. Both are the ideal for you. Starting with Fiverr, It’s a site where you can get anything for just $5. Starting from SEO to Body Building Tips, You would be getting everything from there. SEOClerks is probably the world’s largest SEO Store, Where you could get various stuff and strategies to improve your blog. Starting from $1 you could get anything related to Blogging, SEO etc. You could also hire developers for your blog too. I use Freelancing as I already said the primary income source where I used to provide various stuff like Social Media Optimization, Search Engine Optimisation, etc. Out of 100%, Probably 75% Professional Bloggers used this strategy to earn and by keeping it their main source of income they use other strategies too. Ultimately it depends on on , how well you promote your blog to buil an audience is a key to your successful blog monetization. Because how well your blog performs and how many readers are you serving is the key to advertising. Most of the bloggers use Adsense to monetize their blog. Whereas you could have your own choice, But according to me, Adsense is the best choice. 1. Affiliate: Also known as Affiliate commissions or referral fees. It’s a process where we have to increase sales of the company and if any person actually buys from our link then we get commissions. It’s a long-term process when usually takes some time. But we get a huge amount of income per referral. If you want to choose Affiliate Marketing then you could go with BlueHost which pays you $65 per sales. You can also go with DreamHost as it also pays a huge amount. 2. Selling products: Different from Affiliate marketing, Here we sell various products and get 100% of the sales. And also we need to own that product before selling. You can choose Amazon if you want to sell products. 3. Perper post: Pay per post is for those who loves to write articles and take it as a hobby, Compared to Sponsored posts it’s different as here you would get paid per post. Just you need to get registered in a certain site(s) To start earning. You could choose PayPerPost.com if you want to start with pay per post-marketing. The best and the ideal way in order to monetize your blog successful you need to combine two or more strategies at once. I have interviewed many professional bloggers and frequently asked that how they used to make money online, The most answers that I got is that to combine more strategies to earn more. Suppose if you want to go with Affiliates then With Affiliates you can also use Advertising option to monetize your blog. Whereas if you want to Sell Products then you could too use your Affiliates to market there. So in order to get the best possible results you need to make a great plan with combined strategies. I hope that you get the possible details for what you have came for. I would be really glad if I could hear your feedback. And if any problem then feel free to comment below I would try to respond you back as soon as possible. Affiliate marketing is a great way to make money from blogging, which may not need huge traffic but a good product with a solid marketing strategy. Thanks for sharing this article. Sorry for that, but in future we will publish more useful articles on online earning.